Because of my father's illness we took over his breeding program and his mares went to our stable in Bentelo. These mares who still belong to my mother now have given us many good offspring already, a few of them jump on International level. We try each year to get them in foal with Top-class K.W.P.N. Stallions. We use the stallions from VDL-stud in Beers Friesland. 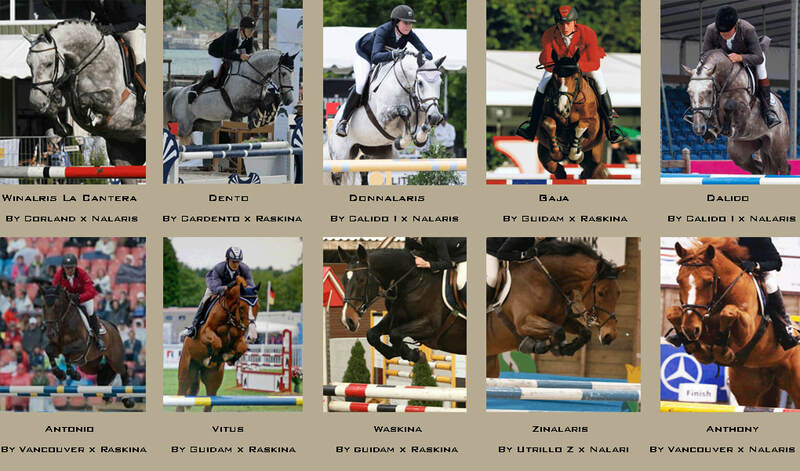 They have proven breeding-stallions that jumped on international level. And, also very important for us, they are Top professionals and people that you can rely on. The K.W.P.N. lines we breed with are. For more information about Nalaris and Raskina click on the buttons above.